A sweet red wine, this vintage is a blend of Concord, Marcheal Foch and Frontenac. The classic Concord is what your great-grandparents often made their wine with before prohibition. Jam-like and sweet, it’s a treat to share among your friends. Serve this wine chilled. Our best seller! 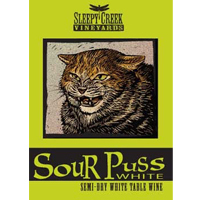 A crisp, semi-sweet white wine made from La Crescent grapes with flavors of citrus. Donâ? ?t let the name fool you, it has just the right balance to make it a refreshing wine. Serve chilled. A semi-sweet rosÃ© made from Frontenac grapes. Frontenac is a red grape but just like White Zinfandel, we remove the skins and then ferment. The result is a light ruby color and refreshing flavor. 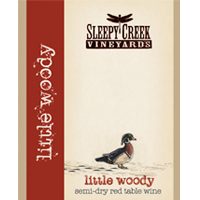 A great wine for sipping or for a picnic. Serve slightly chilled. A semi-dry red wine aged in stainless steel with oak. A blend of Leon Millot, Rougeon, and Marechal Foch from our vineyard, this vintage is loaded with nice tannins and warm oak and fruit. We recommend serving it at room temperature. It would pair with a hearty meal. 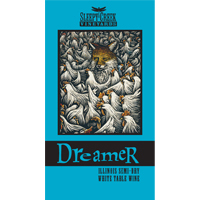 A light bodied semi-dry white wine made from Illinois grown Seyval Blanc . A subtle floral flavor with just a hint of fresh fruit, this wine goes fine with a meal or by itself. Best served chilled. 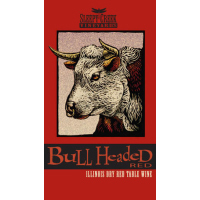 This vintage is a medium-bodied dry red wine, half aged in American oak and French oak barrels. 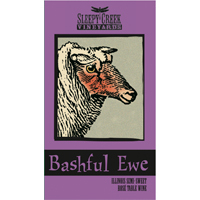 The grapes are 100% Chambourcin from the central and southern regions of Illinois. Best served at room temperature, it compliments beef, pork and spicy foods. 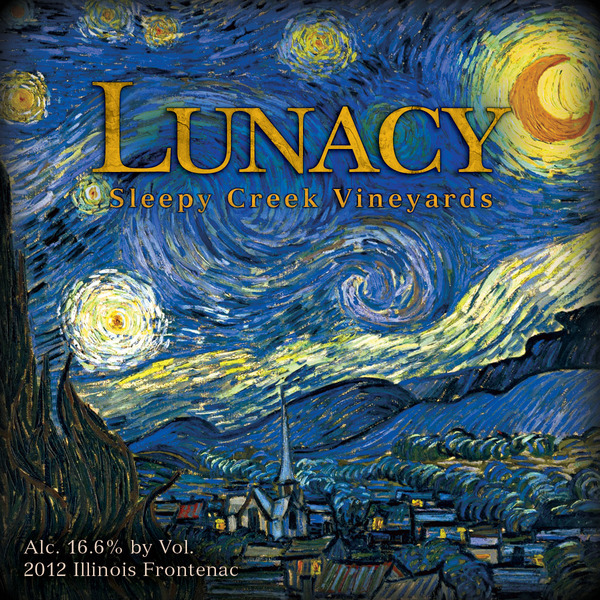 A semi-sweet red wine made with the Frontenac grapes grown in our own vineyard and other Illinois vineyards. Fermented with the skins, it is fruity, earthy and vibrant. Serve chilled or room temperature. Drink it how YOU like it. 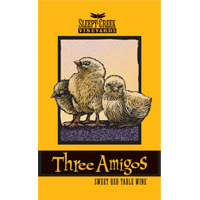 A sweet white wine made from Niagra, Cayuga & Seyval Blanc. Fruity, light and sweet. 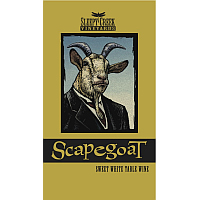 If you like our Three Amigos, you will most likely enjoy Scapegoat. 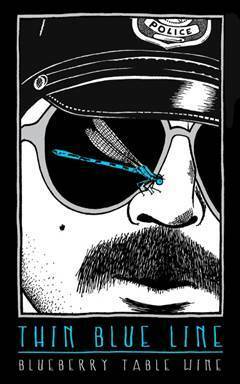 This will make you re-think wine...and your life. Tomatoes and Jalapenos were fermented and aged in stainless steel. The result is a white wine that tastes like a very light Bloody Mary. 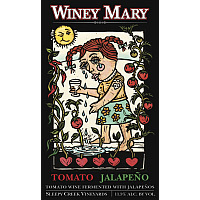 We like Winey Mary straight up or with a dash of olive juice. It's sorta like a Dirty Martini! Or, we sell a locally-made Bloody Mary mix: Steve-a-Reno's Bloodshot Bloody Mary Mix, made in Springfield, IL. 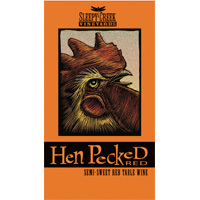 Available for $8/bottle from Sleepy Creek. A sweet, port-style red wine made with distilled Chambourcin grape spirits and blended with Norton and late harvest Frontenac. Aged two years in oak barrels, it is smooth, berry and intense. A smooth, lightly oaked, medium bodied dry red wine made from 100% Noiret grapes. The label features the art of Lisa Kesler (www.lisakesler.com). 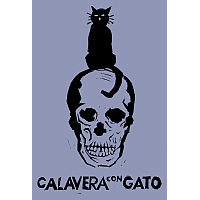 The print, "Calavera con Gato" is a mix of light and dark, much like the wine is a mix of light fruitiness and dark oak. This wine is made completely from blueberries, with subtle, blended aromas and big sweet blueberry flavors, with hints of blackberry and clove. Velvety going down, with a smooth, lingering finish.